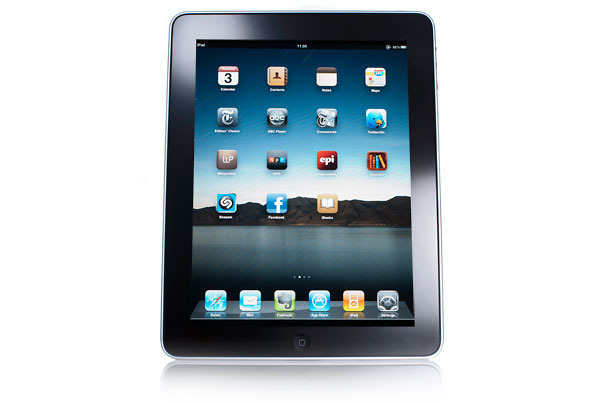 Apple announced the third generation version of the iPad, its signature “post-pc” tablet device, today. With improved processing speed, a new high resolution display, and rear facing cameras that will allow users to record movies in HD resolution, consumers will be sure to snap up these devices at a continued record pace. Last year, Apple sold 172 million post-pc devices (which include the iPhone, iPad, and iPod Touch) with 62 million in the last quarter alone. The iPad itself, when compared to other PC Manufacturers like HP and Dell, outsold every other manufacturer in terms of PC sales last quarter. Long story short, there’s a heck of a lot of tablets out there and the record adoption rate of these devices shows no sign of slowing. Is Your Site Tablet Friendly? Last month, nearly 7% of our total visitors at PADutchCountry.com accessed the site using an iPad. That may not sound like a lot, but that percentage was closer to 0 as recently as 8 months ago. That’s a pretty rapid rise for a device in terms of usage. So considering you’ve most likely have users accessing your site using a tablet device, how pleased will you be with how your site performs on that platform? How end users interact and navigate the web on tablets can be dramatically different so results can be mixed. Here are a few basic things to look for so you can start getting a feel of whether your website is as iPad-friendly as it needs to be. This is old news but it’s worth repeating. Although other tablets on the market play nicely with the long standing web application, all of Apple’s iOS devices flat out refuse to support Flash. In recent months Adobe (the cooperate stewards of Flash) has even backed away from trying to push their proprietary tool as a mobile platform in favor of HTML 5. If you’re still reliant on Flash as a dominant element of your site, you need to face the reality that a growing number of visitors will have no access to that content. If you have a flowing layout to your site, you can no longer assume that users will be looking at your site in a standard horizontal orientation. They flip those tablets around, so you have to make sure that your site flows with that movement as well. Fixed positioning of elements is probably a bad idea since users cannot re-size the browser window in an iPad to accommodate where you’ve anchored items. 3. Does your navigation still work? Navigation that works great with traditional mouse interaction may not work the same way when you’re dragging and swiping with your finger. Take drop down menus with sub menus for example. With a mouse you would hover over a primary nav item to expand a sub navigation item. On a tablet hovering over a primary nav item might launch that index page. Make sure your navigation is as simplified as it can be and that if you need to expand to sub menus that the functionality is appropriate for each platform. If you have user agent detection enabled to launch your beautifully crafted mobile-friendly version of your web site when someone accesses your website with a smartphone, you want to make sure the agent isn’t misreading the iPad as a “mobile” device. Those mobile-friendly sites are great for the 3-inch wide screens on your smartphone, but they look horrible on a tablet. It’s very easy to mess up the detection script so make sure to test your site to make sure tablet users are getting the intended version of your site. An old joke amongst graphic designers is the reliable feedback from clients to, “Make the logo bigger.” For tablets, it’s not such a bad idea after all. If you have a singular or dominant call to action on your site, make sure the area that users need to “click” is big enough for them to see and interact with their fingers easily. The clickable area with a traditional mouse interaction can be a lot more precise than the touch interface on a tablet. Designers are going to have to increasingly account for that shortcoming. This entry was posted in Tablets and tagged Apple, iOS, iPad, Tablets, Uability. Bookmark the permalink.